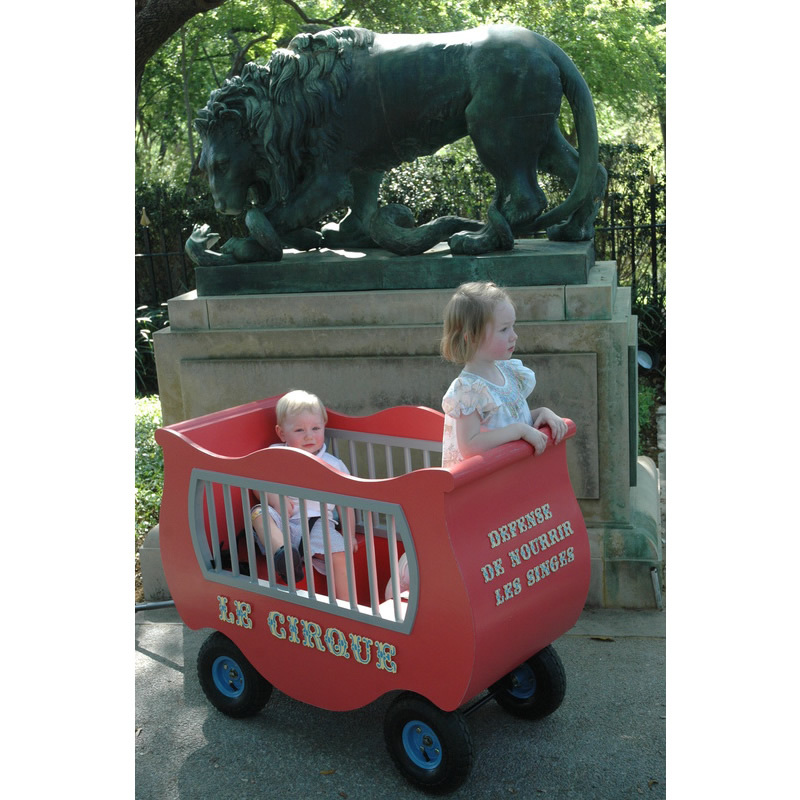 French Circus Wagon - This beautiful and charming wooden French Circus Wagon can hold up to four children and is hand crafted in the US. 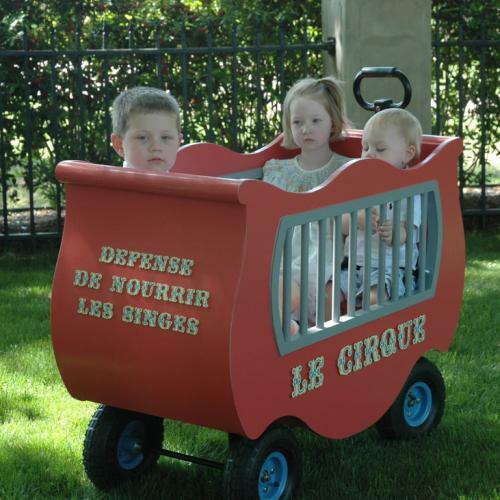 You will notice the signature curved wood sides and the hand cut wooden lettering with the words "defense de naurrir", which means "Don't Feed The Monkeys". 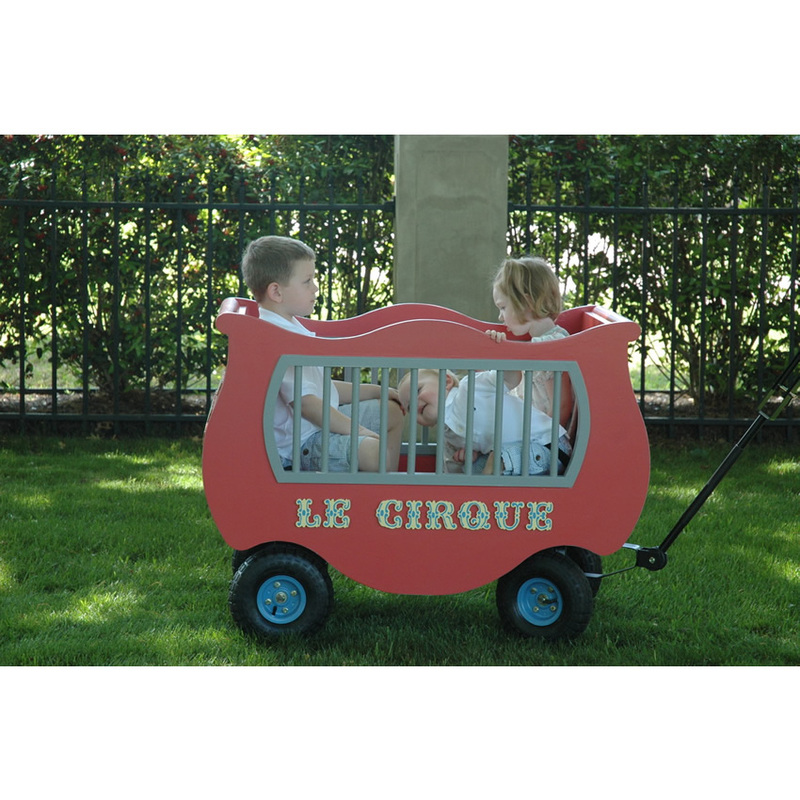 The fun French Circus Wagon can easily fit in the back of an SUV for many trips to the park. 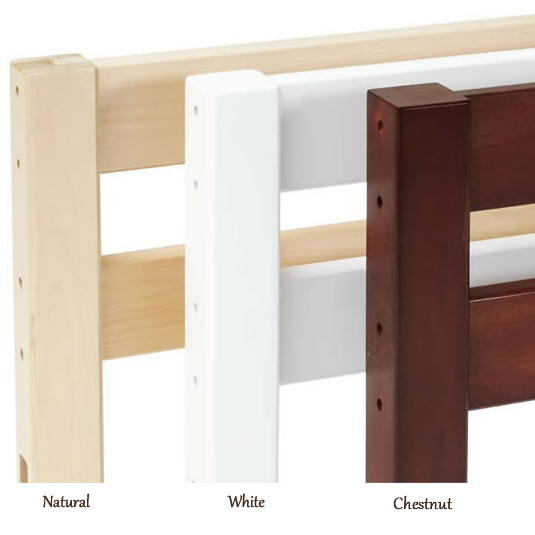 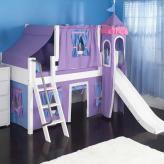 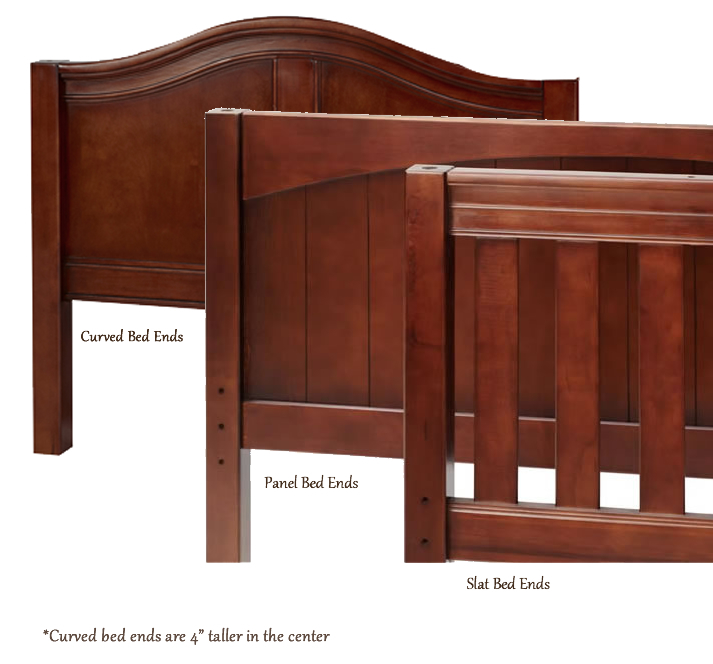 This product is CPSC certified. 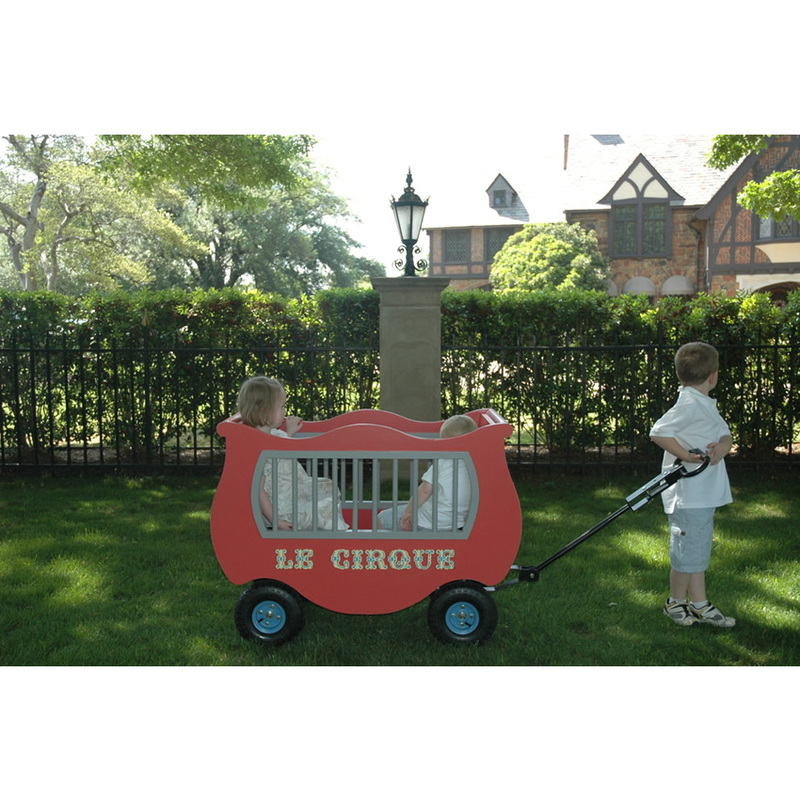 Free delivery to the Dallas/Fort Worth/Houston areas.